Can you believe it's 2018!? I am still waiting for that flying car I was promised. Anyhow I have some wonderful children's books to share with you so that your kiddos can start the new year right, by reading instead of playing on their tablets. Don't you think we should all make a resolution to spend less time on electronics? Reading is a great past time for adults and children alike, unfortunately with all the distractions of today I think children are reading less. If there is one thing I have always tried to share with my daughter it is my love of books and reading. So here are a few book suggestions for 2018, from Candelwick Press, that I hope your kids will enjoy. 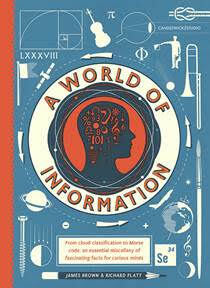 A World of Information by Richard Platt is a book of knowledge that kids will appreciate. It answers many of the questions that parents get asked but sometimes don't know the answer to. My nine year old daughter was very excited about receiving this book. She is very inquisitive and this book explains things in a way that is easy for kids to grasp. Where's Waldo? Destination: Everywhere! by Martin Handford is another find and seek book featuring the infamous Waldo and his striped shirt. My daughter has another Where's Waldo book on her bookcase but since she has already found the sly guy in all the photos I thought this would be a fun book for her to spend some time with. She found Waldo in every scene and it only took her about 20 minutes! This might be a better fit for a child a few years younger. While this is not a reading book it will still get your child using their brain. Harry Potter: Magical Film Projections: Quidditch by Insight Editions is another book with little reading that will keep your kids away from the TV and lost in the magical world of Harry Potter. Any Harry Potter fan will love this! My daughter is not a huge fan so she gifted this to a friend of hers who absolutely is and I was told she absolutely loves it. The wizarding world’s favorite sport, Quidditch is a magical game played high up in the air with Quaffles, Bludgers, and broomsticks. This interactive book allows fans to project their favorite Quidditch scenes from the Harry Potter films on a wall or ceiling using a flashlight. Read along and experience extraordinary moments from the movies like never before, like when Harry catches the Golden Snitch in his first-ever game of Quidditch. Using black line illustrations on framed acetate pages, this unique book allows fans to project their favorite scenes from the Harry Potter films at home with a flashlight. Knightology by Dugald A. Steer is my favorite of the lot. It is filled with everything you ever wanted to know about the world of knights and knighthood. Filled with stories and pictures, it is a beautifully made hardcover book that boys and girls will love. My daughter thought this book was the coolest! Norse Myths Tales of Odin, Thor, and Loki by Kevin Crossley-Holland is the book that has the most reading. 220 pages of tales so your child can escape into a fantastical world of gods, dwarfs and giants. My husband has actually taken it upon himself to read this book and learn all about Norse mythology. You can find these books wherever children's books are sold. I have a great giveaway to share with all readers too! Two of you will win a copy of all 5 books! Hi, I like all of the books for my two grandsons! A favorite of theirs would be A World of Information! i would love the wheres waldo, i have always loved those! I am most interested in Knightology. I world of information. Looks like a great book. I'm most interested in Where's Waldo -- my boys loved these books growing up, I'm sure my granddaughter would too. I want to read Where's Waldo? Destination: Everywhere! first. but all the books are good. My kids would like A World of Information. The World of Information book looks like it would be the favorite of both my children. They all look cool, but I think A World of Information would be the winner at our house. I'm very interested in Knightology. These are all great books! I would read knightology first with my son. For us we need Norse Myths because our dashound's name is Odin, we had a Yorkie, Thor, and my brother in law has a Siberian Huskey named Loki. A world of Information sounds like a wonderful book. Where is Waldo is definitely a favorite. I am looking forward to Wold of Information. my daughter would love the where's waldo book! My children would like Norse Myths the best. I like the Norse myths. The best, my daughter loves the. Greek gods and I. Knows he would. Love this book. Oh man, I want the Wheres Waldo, and I know my youngest girl wants anything Harry Potter, thanks for the giveaway! Norse Myths looks so interesting! I'm most interested in Harry Potter: Magical Film Projections: Quidditch. Harry Potter was such a cool series to me, and the game of quidditch is interesting. 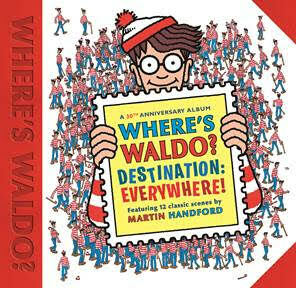 would love to get the where's waldo book.. .loved that when i was a kid! My youngest child would LOVE Where’s Waldo! I am most excited for Harry Potter: Magical Film Projections: Quidditch. My boyfriend would read the heck out of it, then pass it along to my nephew! All the books look amazing but ESPECIALLY the Harry Potter one! I am most excited about Harry Potter Quidditch! !We love Harry Potter! Personally, the Harry Potter book! But, I have a few kids obsessed with Waldo books too! I am very much interested in the A World of Information book. I'm a very inquisitive person who loves random facts. They all look great! I'd be curious to examine the "A World Of Information" book! I am interested in the Norse Myths Tales of Odin, Thor, and Loki! It looks like something fun my kids and I can read together. My son LOVES Where's Waldo books!! Mine would love all of these wonderful books The one that would get read the first would be Knightology. My son would like the Harry Potter book, and I would have fun reading the Waldo book with him. I'm looking forward to Harry Potter: Magical Film Projections: Quidditch! I absolutely adore Harry Potter and it sounds perfect to share with kids! It's a toss-up between Harry Potter and Waldo. Harry will probably win, he's got a wand, y'know. Holy Moly, I'd love the book about Norse mythology! Most interested in the Wheres Waldo. The World of Knowledge is first choice. I am most interested in "Knightology". While I would probably like the Harry Potter book but my daughter loves Look and Find books and her fave would be Where’s Waldo Destination Everywhere. I would like where's waldo best- I used to love those books and would love to share with my kids! The World of Knowledge looks good. My granddaughters would like A World Of Information. My grandson would like Knighthood and I love Harry Potter. World of information would definitely be our favorite! They all look great but my favorite is Where's Waldo? Destination: Everywhere! I think my daughter would really like Harry Potter: Magical Film Projections: Quidditch but all of them sound great. Where's Waldo? Destination: Everywhere! is my favorite. I would love the book Where's Waldo. I am most excited about where's Waldo! We are reading through the HP series as a family so I bet my kids would LOVE the Quidditch book! 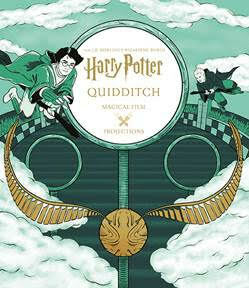 I would love to surprise my daughter with the Harry Potter: Magical Film Projections: Quidditch book. She's a big Harry Potter fan! My student's would love Harry Potter: Magical Film Projections: Quidditch. I used to love the Where's Waldo books when I was growing up!! Would love to share those with my daughter too! The Norse Myths.. I bet that would be really interesting! I'm most interested in the Norse Myths book. I think my nephew would like Knightology. I'm most interested in A World of Information. I am most interested in the Where's Waldo book, but they all look great. Where's Waldo has always been a favorite. Would love to win! A World of Information because I love to learn things and share them (I like the Norse Myths book for the same reasons). My kids would love the Knightology book. We have been reading a lot about King Arthur and the Knights of the Round Table, so that would be perfect! As much as I love Where’s Waldo, I’m most excited about A World of Information! I would like the Where's Waldo? Destination: Everywhere book. The A World of Information book sounds good to me! My grandson would love A World of Information. He actually would love them all! 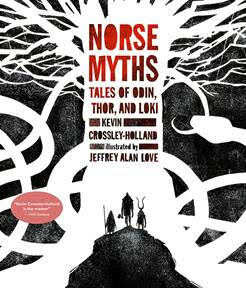 Norse Myths Tales of Odin, Thor, and Loki by Kevin Crossley-Holland is the book that I am most excited to win! Fantasy, adventure and myths, who could ask for anything more!! I am most interested in A World of Information. I'm most interested in Where's Waldo. I have a couple here from when my kids were small, and would love to add to my collection for the grandkids. I'm interested in the Knightology. My oldest kids (now adults) loved the Ology books but my toddler is too young right now. Waldo! My son loves search books and was recently introduced to Waldo. I would be most interested in Where’s Waldo - I loved those books when I was little. 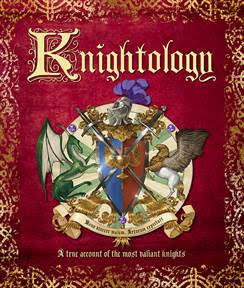 Knightology looks fascinating -- and I love the cover art! I'm most interested in Where's Waldo. They were my favorite books when I was younger, I would love to share the love of that book with my kiddos! Norse Myths would be a favorite in our house!! Norse Myths!!! omg wow yeah, that looks amazing and totally the type of book i want to get into with my son!! I'm most interested in the Where's Waldo. Thanks for the giveaway. This would make a nice gift. My great niece's would love Where's Waldo books. I am most interested in the book . A World of Information it would be great for my grandchildren ages 4 to 9. Really sounds fun. HP everything - Quiddith and WALDO would be amazing!